Samantha Brown has visited more than 60 countries and 250 cities while hosting a number of travel shows, including her current PBS series, “Samantha Brown’s Places to Love.” And she is sharing her top five travel tips. Samantha Brown practically lives out of a suitcase. In the last two decades, she has captured the cultures, cuisines and people of more than 60 countries and 250 cities on a number of travel TV shows, including her current PBS series, “Samantha Brown’s Places to Love.” And along the way, she has picked up a few tricks to make travel less stressful and more enjoyable. Brown was recently in town for D.C.’s Travel and Adventure Show and stopped by WTOP to share five of her favorite travel tips. Just like you do at home, Brown said it’s important to keep to a ritual, even while on vacation. “Ritual is so important in our own daily lives — it’s where we get our coffee, it’s where we have lunch, it’s where we sit and read the newspaper — and my feeling is, that’s no less important when we travel,” she said. Brown’s go-to travel ritual is to start the day at a local coffee shop near wherever she is staying — “So I can feel the ebb and flow of a place better than if I just stayed in my hotel,” she said. Not only does this habit give her a better sense of the local community, but it also helps to break the hurried pace of the normal day-to-day grind. “What I love about creating a ritual is that it slows time down and it makes it your own,” Brown said. Have some old shoes ready for the trash or donation bin? Set them aside for your next vacation. When it comes to packing for your return trip, you’ll be glad you did. Be sure to include a pair that you don’t mind leaving (or tossing) at the end of the trip. “That then gives you 20 percent more space in your luggage to now pack the things you obviously bought on your travels,” Brown said. Lots of tourists know that in order to get a more authentic experience, it pays to get off the beaten path. But there’s no need to walk too far from the major museums and monuments for a taste of the local flare. “All you have to do is go right where every tourist is going — the main travel centers — but then just go one block over,” Brown said. Brown said these smaller shop owners likely have more time to talk to you, and thus will recommend other sites, stores and restaurants to visit. “And you are going to have a much more authentic, more fulfilling and personal experience,” Brown added. Sky-rocking baggage fees have pushed more airline customers to opt out of checking their suitcases, and instead, crowd the overhead compartment of planes with carry-on luggage. If you want to ensure your luggage makes it on the plane and not in the gate-check pile, Brown said choose your seat wisely. “All airlines board their plane from the back to the front; window seat, then middle, then aisle. So if you choose a seat that is on the front of the plane in the aisle and you’re Zone 5, you’re not getting your bag on,” she said. Select a window seat in the back of the plane, however, and you’re more likely to find a spot in the overhead bin. The only thing more stressful than boarding a plane is boarding a plane with kids. Brown, a mother of twins, said the best thing parents can do is skip the early boarding option that’s often extended to flyers with young children. 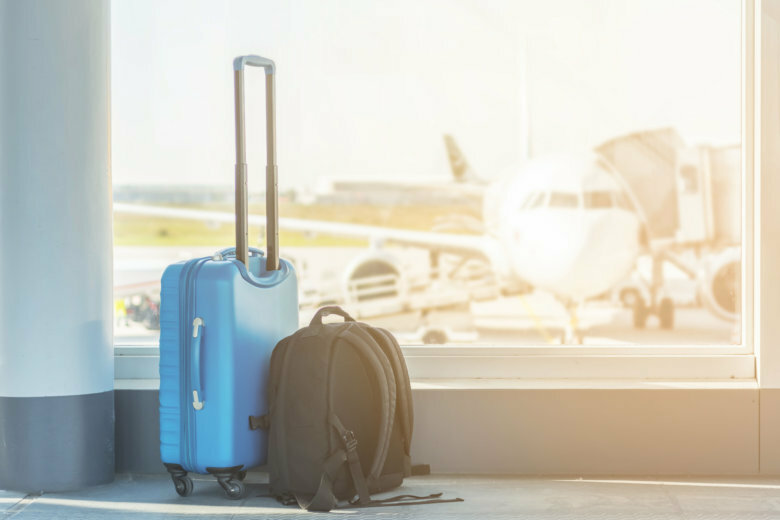 Instead, send one parent or traveling companion in on the pre-board with all of the bags, car seats, etc., while the other adult waits by the gate with the kids until the last person in the last zone called gets in line for the flight. “And when that line is halfway down the jetway, now I get on,” Brown said. To help distract kids from a meltdown, or to keep kids occupied during a delay, Brown packs 3-ounce containers of bubbles (she blows them by the gate or while waiting for baggage claim) and balloons, which kids can hit and chase in hotels without knocking over lamps, pictures and your well-deserved post-flight cocktail. “A happy baby makes a happy flight and plane,” Brown said.